A brilliant idea! 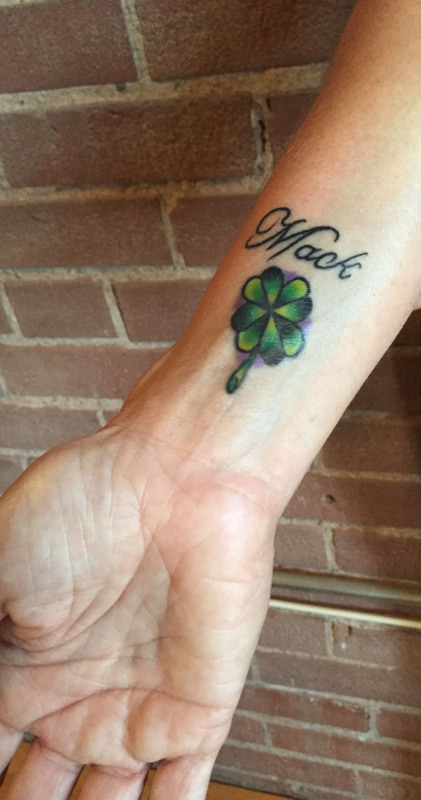 Having seen your tat in person, I can attest to its beauty and to the way your face lights up when you show it off. I love that it brings you joy. I am not a tat person, but I love it. Mack would have gotten a big kick out of it.